Mark Twain, born Samuel Langhorne Clemens in 1835, put an astonishing number of words on paper. By the time of his death in 1910, he had published more than thirty books and pamphlets, and easily three or four thousand newspaper and magazine articles. Clemens also changed his mind about “unpublished letters of Mark Twain.” By the time of his death he had signed a contract to have at least of some of them published. There are, in fact, in hundreds of libraries and private collections around the world, at least 9,000 of his personal and business letters (one-fifth of the 50,000 letters he is believed to have written) with more still being found every week. There are also hundreds of literary manuscripts—books, stories, essays—that he published and then abandoned or gave away. For all but two of his major books the original manuscript survives. The largest single archive of original documents by and about Mark Twain is known as the Mark Twain Papers. It contains more than 500 literary manuscripts left unpublished and in various states of completion, including ten or eleven file feet of both handwritten and dictated (and mostly unpublished) autobiography; 46 out of 50 extant notebooks; some 17,000 letters to Clemens or his family; about 3,000 letters by him; roughly 100 books from his library; as well as uncounted clippings, contracts, bills, checks, photographs, scrapbooks, and other family artifacts. Clara could not sell the papers or even give them away without the consent of her trustees: she could only transfer ownership through her own will. That is why the core of the Mark Twain Papers remained largely intact forty years after his death, despite having wandered from library to library before coming to rest, in 1949, at the University of California, Berkeley. Clara's original intention was to bequeath her father's papers to Yale University, in gratitude for the honorary degree Yale had given him (his first) in 1888. But during Clara's lifetime the papers were in the care of four successive editors who served as literary executors or editors for the Clemens estate, each with quite different ideas about who should be permitted to see the papers, and which of them (if any) should be published. 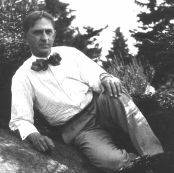 Albert Bigelow Paine (editor, 191037) was Clemens's official biographer and literary executor. In January 1906, Clemens gave Paine unstinted access to these papers. After Clemens's death, Paine worked closely with Clara and with Harper and Brothers to publish a very limited sample from them, and to prevent anyone else from publishing more. Following his magisterial three-volume biography (1912), Paine published roughly 500 letters (1915), about two-fifths of the autobiography (1924), and fewer than half the notebooks (1935). He was a typical Victorian editor who felt an obligation to silently alter or remove passages from the texts he did publish, and to block access to the rest when he thought them unworthy of his hero. Paine replied to this offer in his own preface to a 1935 reprint of the biography, calling it “the only humor in an entire book” about Mark Twain. But when Paine died in 1937, the trustees wisely named DeVoto to replace him. DeVoto's first task was to gather the documents, which had been stored in various bank vaults, the Lincoln Warehouse in New York, Paine's own residence, and even a trunk of about 100 manuscripts which Paine had sent to Clara for safekeeping. The papers still belonged to Clara, but she and the trustees permitted DeVoto to take them all to room number 98 of Widener Library at Harvard, where he spent the next eight years organizing and studying them (“DV” numbers and “Paine” numbers are still part of the cataloging history of the papers). DeVoto also worked hard at publishing a selection from them: Mark Twain in Eruption (1940), Mark Twain at Work (1952), and The Portable Mark Twain (1946). But Clara prevented publication of Letters from the Earth until 1962, almost twenty-five years after DeVoto had prepared it in 1939. He resigned as literary editor in November 1946. 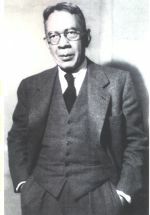 Dixon Wecter (editor, 194750) was already a distinguished historian when DeVoto stepped down in his favor. He was then Professor of History at UCLA and chairman of the Research Group at the Huntington Library in San Marino, California. In January 1947 the papers arrived in California on a ten-year loan to the Huntington. By 1949 Wecter had published two collections of letters that were not part of the Mark Twain Papers. But his major project was a definitive biography based largely on these documents, to which he had exclusive access. Partly because of that project, he was disinclined to grant others much access to the papers, and he was opposed to one of DeVoto's projects, a complete collection of Mark Twain's letters, at least until his biography had been published. In 1949, however, Wecter took a job several hundred miles north of San Marino in the history department of the University of California at Berkeley. Persuasive and courtly Texan that he was, Wecter easily convinced Clara to allow him to take the papers with him to Berkeley. And before the papers even arrived in their new home, Wecter persuaded Clara to bequeath them to UC Berkeley rather than to Yale. On 20 June 1949 she signed a codicil giving ownership of the papers (but not their copyright, which the trustees of Clemens's estate retained) to the University of California. Almost exactly one year later, on 24 June 1950, Wecter died unexpectedly at age forty-four, having completed only the early years of his projected biography, later published by his widow as Sam Clemens of Hannibal (1952). 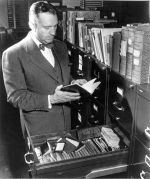 The papers remained in the Berkeley library, without an editor in charge, until 1953, when Henry Nash Smith was persuaded to join the Berkeley English department, and to accept a half-time appointment as Mark Twain's fourth literary editor. Henry Nash Smith (editor, 195364) and Frederick Anderson (196479) each played decisive roles in opening the papers for use by scholars, and in setting on foot the scholarly editions that became known as the Mark Twain Project. Smith persuaded Clara to allow DeVoto's Letters from the Earth to be published in 1962. And in that same year he helped negotiate a contract between the trustees of Clemens's estate and the UC Regents, enabling for the first time regular publication of Mark Twain manuscripts contained in the papers. That contract and its renewal in 1982 formed the necessary basis for the scholarly edition, published exclusively by the University of California Press. Eleven months after the contract was signed, on 19 November 1962, Clara Clemens Samossoud died at the age of 88. Clara's death transferred ownership of the papers to the UC Regents. After twenty-five years of wandering from institution to institution they had at last settled down. The death of Clara's daughter, Nina, in 1966 was followed almost immediately by the death of Jacques Samossoud, Clara's second husband. All these events made public access to the papers significantly easier than it had ever been before. Anderson took control of the papers in 1964, just three years before federal grant funds from the National Endowment for the Humanities (NEH) became available for large editorial projects devoted to major nineteenth-century American authors. He spent his entire career at the Papers managing the editorial and fiscal needs of a selected edition of them, and (starting in 1968) an equally ambitious effort to edit the published works. Ever since the papers arrived in 1949, the University has steadily added to them. Original documents have been purchased, or received as gifts, and added to the basic core: letters, literary manuscripts (most recently five chapters from A Tramp Abroad), a dozen scrapbooks kept by Clemens and his brother Orion, first editions and other rare printings, photographs, financial papers, contracts, and other important collateral documents, such as the diaries of Mark Twain's secretary, Isabel V. Lyon. Paine, DeVoto, and Wecter had all made efforts to acquire copies of original documents owned by other institutions and private collectors. But the advent of two scholarly editions (and of inexpensive copying technology) kicked their comparatively casual practice into higher gear. In 1967, for the first time, truly systematic efforts were made to acquire copies of everything in Mark Twain's hand that was available in public institutions or private collections. In 1971, the Mark Twain Papers formally became part of The Bancroft Library. The archive was (and still is) completely open to undergraduates, graduates, and independent scholars, not just to those at work on the two editions. The archive was very imperfectly organized at the time, and visitors usually had to spend a summer, if not longer, in pursuit of accurate information. That would change only with the advent of the personal computer and electronic catalogs first used in the 1980s. One year before the contract for the Papers series was signed, in the fall of 1961, John C. Gerber, Walter Blair, Paul Baender, William M. Gibson, William B. Todd, and seventeen other scholars set out to create a twenty-two-volume edition of Mark Twain's published works. The work was funded by a grant from the United States Office of Education (USOE) and it was to be published by Harper & Row. The original editors of the Iowa Works of Mark Twain. Front Row, left to right: Hennig Cohen, Warner Barnes, Walter Blair, Gladys C. Bellamy, Roger B. Salomon. Middle Row: Edwin Barber of Harper & Row, William B. Todd, Arlin Turner, William M. Gibson, Franklin R. Rogers, Allan C. Bates. Back Row: Howard G. Baetzhold, Hamlin L. Hill, James D. Williams, Louis J. Budd, John C. Gerber, Paul Baender, Edgar Marquess Branch, Albert E. Stone, and Frederick Anderson. Absent: Roger Asselineau, Leon T. Dickinson, Paul Fatout, and Lewis Leary. Date: 10 or 11 July 1964, Iowa City, Iowa. But, as a matter of principle, the USOE decided to place the editorial work it supported in the public domain, which obliged Harper & Row, a commercial publisher, to withdraw from the project. 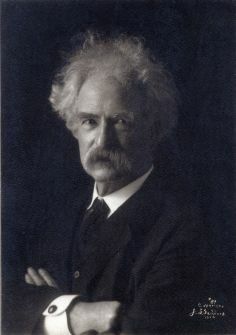 On 27 August 1968 the University of California Press, which had already published three volumes in the Mark Twain Papers series, agreed also to publish what became known as the Iowa–California Works of Mark Twain, whose individual editors worked with the Iowa Center for Textual Studies to prepare and annotate the texts. The original estimate was that it would take four years to produce all twenty-two volumes, but that proved optimistic, and the first volume, Roughing It, did not appear until 1972. The Papers series in Berkeley was comparatively more productive. In 1967, the first three volumes were published, followed by three more in 1969, another in 1972, and two more in 1975. 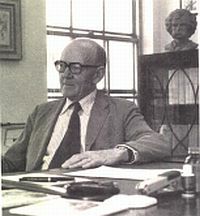 Frederick Anderson became the “Series Editor” for both Works and Papers, each of which had its own editorial board. His most distinctive and lasting contribution to these editions, however, was that he allowed the graduate students he hired with NEH funds (at roughly $3.20 an hour) to take on as much responsibility for the editing as they could handle. The ultimate result was that a few of them stayed on the job for decades, and literally trained themselves in the mysteries of scholarly editing (something that is still not taught in any academic department at Berkeley). 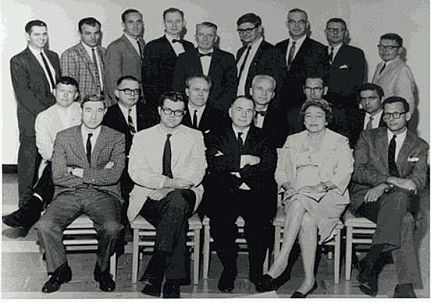 These graduate student assistants made significant contributions to the Papers volumes published in 1969 and 1972, but they did not begin to get title-page credit until 1975. Their great advantage, which they fully exploited, was that they were paid to work in the archive itself, year-round, and therefore soon knew more about it than the appointed academic editors, who could usually spend no more than a few summer months there. August 1968 in the Mark Twain Papers, Berkeley. 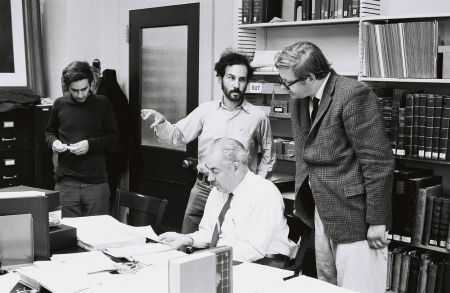 The role of the Berkeley graduate students was significantly enlarged in 1971 when the Works general editor, John C. Gerber, decided to delegate the preparation of critical texts to them, leaving introductions and notes in the hands of the original editors. At Gerber's invitation, Buddy Stein quietly assumed control of textual policy for the Works series and was given his own volume to edit, A Connecticut Yankee. The Berkeley editors began to join with other Iowa editors in preparing editions and appearing on the title page with them. Some of the original editors resigned in protest over this dilution of their authority. The second volume in the Iowa–California Works, What Is Man? And Other Philosophical Writings edited by Paul Baender, was published in 1973, three more volumes appeared in 1979, and one each in 1980 and 1981. After the 1988 edition of Adventures of Huckleberry Finn, Iowa concluded its participation in the series, which then fell entirely to the Berkeley staff. 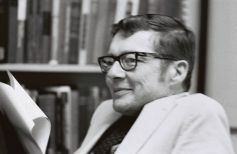 In 1980, Robert H. Hirst, who had been one of those graduate students from 1967 to 1978, succeeded Anderson as the editor in charge of the Mark Twain Papers. At the behest of NEH, he merged the Works and Papers series into one edition, supported by one biennial grant, with one editorial board. He called it the Mark Twain Project. He also enlarged the scope of the edition, making it for the first time explicitly comprehensive, aimed at collecting and editing everything of significance that Mark Twain wrote. But merging Works and Papers did not create a larger staff at Berkeley; it meant instead that both series of books had to share the time available from the existing group of resident editors. Three of the graduate student editors from the 1960s are still at work in the Mark Twain Project, providing the continuity and experience that are invaluable for such a project, and that have enabled it to steadily improve the quality of the editions it produces. Resident editors routinely work with so-called “outside” editors, either from the original Iowa group or from later generations, and the Project has been supported by grants from NEH and matching private gifts for forty years. The Project's most recent innovation is embodied in the current website, which required expertise not just in Mark Twain, but in the mysteries of electronic editing. The website has become the primary form of publication for the Project, although works such as the Autobiography will be published both digitally and in print. Learn more about the Making of Mark Twain Project Online. Copyright © 2007–17 The Regents of the University of California. All rights reserved.